I consider this blog to be one of my safe places so I feel no qualms about sharing with y’all that I’m currently in scary space. You see, it’s past time for me to begin my next novel and while my muse has been gently and consistently prompting me to tell her story, I have yet to write a single line. Wait, I take that back. A few months ago I wrote a scene from the many glimpses I’ve had into my protagonist’s life. It’s a highly emotional scene and I’m pretty sure it’s just one of many more. That’s precisely the problem. Let me explain myself a little better. I’m an immersion writer. For those of you unfamiliar with the term, an immersion writer is one who gives their entire life over to their current project. They don’t just want to research being a minor league football player, they find a way to become a minor league football player. Then they write from that experience. A notable immersion writer is John Howard Griffin of Black Like Me. 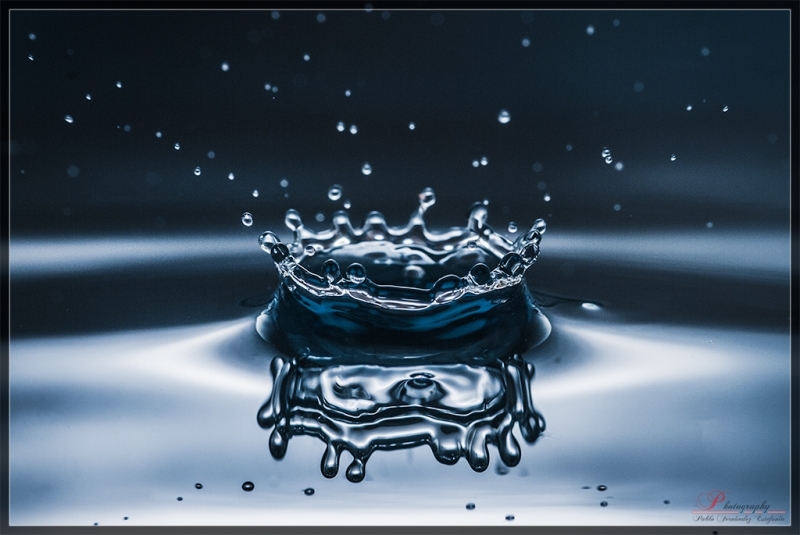 Immersion writing typically applies to journalists or non-fiction writers, but I’m choosing to use the term in relation to myself because I emotionally immerse myself into the lives of the fictional characters I’m creating. This is where my resistance to starting my next book comes in. I’m at a point in my life where I’m genuinely happy and content. It’s been a long time coming and I had to fight my fair share of battles to get here. I don’t want to immerse myself in the emotional landmine that I’m sure this book is meant to be. I don’t want my muse to tell me of her secrets. I don’t want to unveil the experience of her neglect and misuse. I don’t want to know what she’s been through. I don’t want to feel the sorrow of it all. I’ve admitted before that I was once afraid to sit in the stillness of my own sorrow, so I for sure don’t want to sit in fullness of her’s. Yet, because I finally worked up the courage to sit in my own sorrow, I know that doing so is the only way to help her make it through to the joy that I fully believe is waiting for her on the other side. The same way it waited for me. The same way it will be waiting for the readers of this next book who need to know that it’s possible to come out of a place of hard-earned despondency into unmerited grace. So I’ll sit with her in sorrow, but only because I plan to journey with her to victory. Does the project you’re working on affect your mood? Have any advice about how to emotionally distance myself from the occurrences of my work-in-progress, without losing the sensitivity that my writing style requires? Anyone ever wanted to write one thing, but feel pressed to write something entirely different? I’d love to hear your thoughts and advice! Today marks the last leg of my blog tour week! Today I’ll be over at author Demetria Foster Gray’s blog where I’ll offer encouraging words to inspire the pursuit of your passion. Trust me, you don’t want to miss it! I’ve enjoyed visiting with all my blogger buddies and dishing about my latest book, but all good things must come to an end. Today’s the last day of the giveaway. Don’t forget to enter below! When the Real Thing Comes Along is about an unexpected love triangle and all the complications of the heart that go along with it. The above picture is a prayer from one of Jacelynn’s love interests. Who do you think is praying? Is it Jason or Taylor? Mmmmhhh, I guess you’ll just have to read the book to find out! Have you ever been apart of a love triangle? Was it more pleasure or headache? Have you ever had a person you were dating pray with you? Was is comforting or creepy? I’m all ears! Then during the winter/ice storm she decided that the trash can just had to be rolled out to the curb; despite the fact that it was highly unlikely that the sanitation workers would even come to pick it up. I sensed the opportunity for some comic relief and let’s just say I wasn’t disappointed. I hope you had a good laugh at my sister’s expense. If I’m wrong for posting these videos, I don’t wanna be right! After all, laughter is medicine. On another note, I’m still on tour and today I’m making quite a few stops. Join me at Writing Fiction for the Renewed Mind. There, I’ll be giving 5 easy tips for increasing your blog traffic. After that, check out my book spotlight with authors Adrienne Thompson and Unoma Nwankwor. 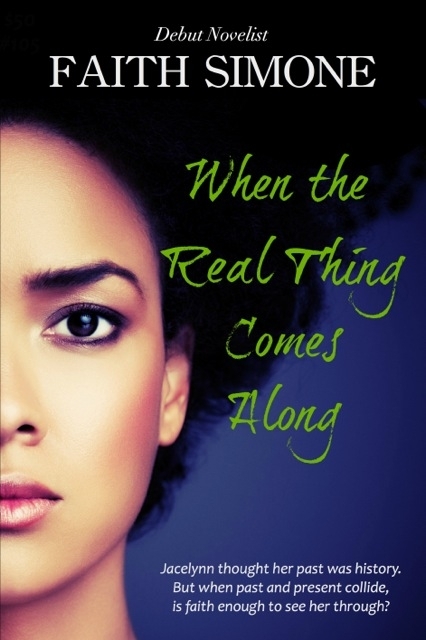 You’ll get an exclusive excerpt from When the Real Thing Comes Along! 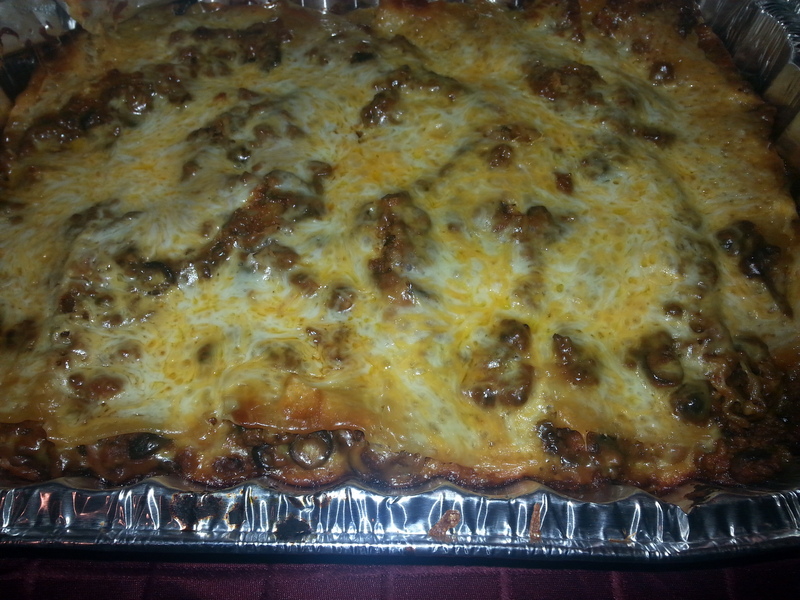 And finally if you’re a foodie, mosey on over to Strong Women, Brave Stories where I’ll share the recipe for my mama’s famous Mexican style lasagna. It’s the business y’all. Just take a quick look at the pic below. I overcooked it just a little! Do you have a favorite recipe? A funny joke? Tips for increasing blog traffic? Tell us about them below! Blog Tour Stops: Writing Fiction for the Renewed Mind, Author Adrienne Thompson, Strong Women, Brave Stories & Fusing Faith Romance & African Spice! 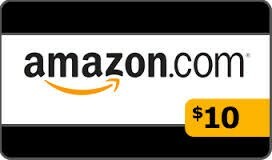 Enter to win one of (3) $10 Amazon Gift Cards! I spent the weekend writing future blog posts and shamelessly promoting When the Real Thing Comes Along. When Memphis’ version of the winter vortex hit, my weekend became unexpectedly extended, and I can’t say I was disappointed. Needless to say, my partying days were temporarily suspended and I happily cozied up to catch up on all my favorite ratchet reality TV shows. Now I’m back in business and I’ll be hanging with Mrs. N over at Princess of the Light! There’s nothing like staying in your pj’s all day. Excuse the wires; we’re a house full of technologically challenged women. 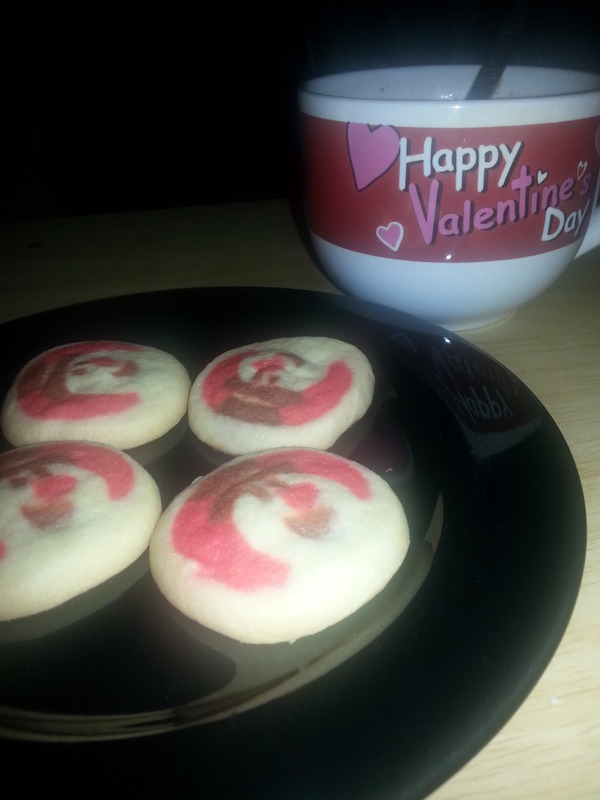 I made some surprisingly tasty cookies with leftover frozen Christmas cookie dough. What do you do on an unexpected day off from work? What are your favorite shows to binge watch on Netflix? Don’t forget to stop by and holler at me on Princess of the Light! Even though the weekend’s over, I’m still going in celebrating the release of my new novel ‘When the Real Thing Comes Along’. It’s been a long time coming and I don’t plan on stopping the party any time soon! Today I’ll be dancing on over to kick it at Quanie Talks Writing. I’ll do my best to stop doing the nae-nae long enough to explain why I think free promotions are one of the best tools an author can use. Check out a little of it below, then shimmy on over to Quanie Talks Writing for the rest! Free is NOT a Four Letter Word! Ok, so maybe ‘free’ is technically a four letter word, but it shouldn’t be treated like it keeps company with those four letter words. My girl Quanie teases me about the fact that I feen for free books like a proverbial crackhead. Did I really just say proverbial crackhead? Sure did, but I digress. Free is not a word for authors to avoid at all costs. It’s in fact an effective marketing tool that the savvy author should always have in their repertoire. Let me explain. 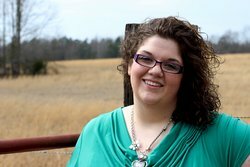 My name is Emerald Barnes, and it’s my real name. I didn’t think a pen name was necessary given the unusual name my parents had given me. I write in the young adult category mainly, but the sub-genres vary. One is thriller, another is romantic suspense, and my latest books are Christian romance. I’ve written Piercing Through the Darkness, a YA thriller novella, Read Me Dead, a YA romantic suspense, Entertaining Angels, a YA Christian romance, and Before We Say I Do, a Christian romance short story and follow-up to Entertaining Angels. My actual career began in 2011 when I first published my novella, Piercing Through the Darkness, but I started writing a long time ago, back in high school (2004). I finished up high school and went through college, finally self-publishing in 2011, two years after graduating college. Well, I work from home, but I’m not a full-time author yet. (I have high hopes I will be one day.) I try to schedule in a little bit of writing time each day, whether it’s a few hundred words or a thousand. I just know that I have to write something to make this my full-time career. I’m going to be honest. I don’t have too much of a process. I kind of pants my way through writing really, being a master procrastinator and just generally busy. But, as far as my little process goes, I tend to write mid-day or at night. Usually, I’m sitting in my recliner, listening to my nieces and nephews play with cartoons on. If I listen to music, it’s a mix I’ve specifically made to set the mood of the story I’m working on, but that’s basically it as for my writing process. I write what I can, when I can, and go from there. No, I’m not big on journaling unless I’m stuck and need to refresh my mind a bit. I do suggest journaling in situations like that because it’s very helpful for me. I start writing until I come up with a conclusion for my novel. My inspiration is the fact that I get to help someone with something in their lives, be it purely for finding entertainment in my book or for actually getting a look deeper into their soul. When I hear stories about how my writing has helped someone connect to something they felt was missing in their lives or that I helped open their eyes, it fuels me. It’s what keeps me going. Knowing that I’ve somehow helped inspire them inspires me. I hope that the legacy I leave behind with my writing is that teens and women will learn to love themselves and overcome whatever obstacle is holding them back. My Entertaining Angels series is just about that. It’s stories to help heal, and I hope that I’ve accomplished that in some way. I get asked this quite often, and it varies because there are so many pieces of advice I could give, but for this year, it’s dream big. Don’t get crushed by feeling overwhelmed and saddened by the fact that it doesn’t feel like your dreams will be reached. Instead, I say dream big! Don’t ever give up because you never know when your big break will happen. Oh such a big question! I have a couple of hundred paperbacks and hardbacks and over 2,000 ebooks! But, what mostly decorates my library is Christian fiction, most of the popular YA series and books out there, some autographed books from my friends and favorite Indies, and a few thriller and mysteries. I have a few contemporary romance novels and new adult novels, too. I’m currently working on book two in the Entertaining Angels series called Delivered by Angels. 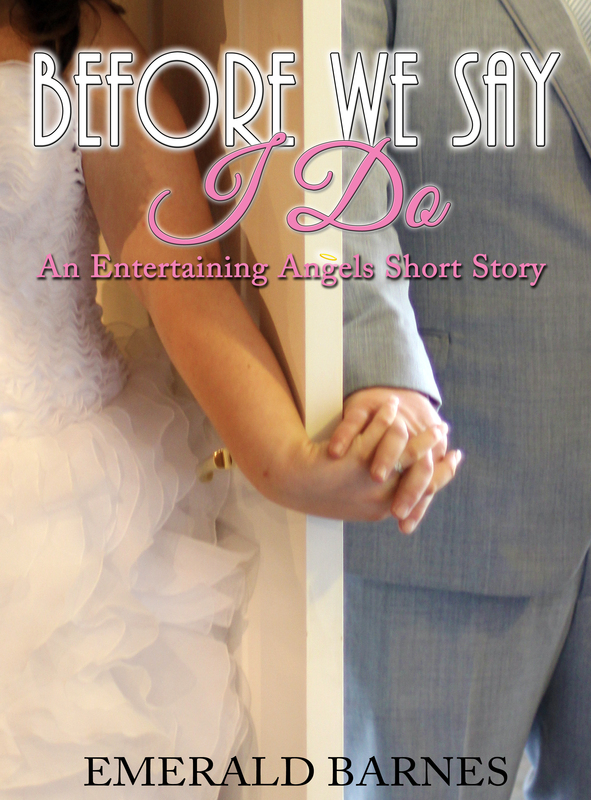 My latest release is Before We Say I Do, the follow-up short story to Entertaining Angels. My main character is Madison Andrews. She’s a bit overweight, but she’s beautiful. She soon learns that she is with the help of Zach and Chase. If I had to choose an actor to play her, it would probably be Nikki Blonsky. I think she fits the bill perfectly of how I would picture my Mads. You can purchase most of them through Amazon, Barnes and Noble, iBooks, and Kobo. There are many ways you can stay in touch with me, and I’d love to see you on each of them! Emerald says: Thanks for having me on your blog! I enjoyed the interview, and I hope you all do, too! Faith Simone says: I like the way Emerald thinks! This is my favorite line in the whole interview: “I hope that the legacy I leave behind with my writing is that teens and women will learn to love themselves and overcome whatever obstacle is holding them back.” I have a heart for women/teen girl who struggle with self-esteem and other issues, too. Been there, done that AND got through it.